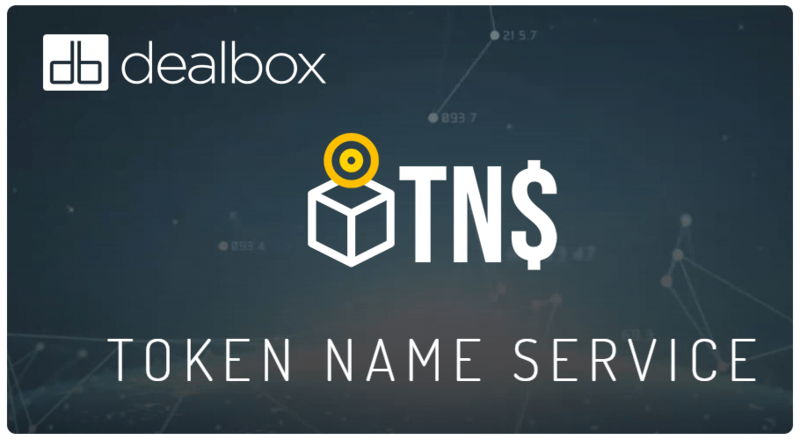 SAN DIEGO, Dec. 19, 2018 (GLOBE NEWSWIRE) — Deal Box, Inc., a financial technology-focused capital advisory firm, today announced that it has been engaged by Token Name Service, Inc. for advisory services relating to its planned Security Token Offering. The offering (“Offering”) of up to $10,000,000 in TNS security tokens will be made solely to accredited investors under Rule 506(c) of Regulation D promulgated by the Securities and Exchange Commission under the Securities Act of 1933, as amended (“Securities Act”). Thomas Carter, founder, and CEO of Deal Box, and advisor to Token Name Service said that “We think MyCryptoName is a game changer for the burgeoning cryptocurrency market. A recent article estimates that Ethereum alone has reached 50 million unique addresses. That is remarkable. I think the current crypto market is much like the early days of the Internet. Back then, early movers including Verisign and Network Solutions created a multi-billion industry, helping to establish a market for licensing easy-to-use web addresses to individuals, businesses, and investors, replacing syntax-heavy IP addresses. And they created billions in enterprise value for their shareholders. Based in Carlsbad, California, Deal Box is a capital advisory firm that provides emerging growth and early-stage companies with a broad range of services including: investment packaging, direct public offering advisory and support services, strategic and M&A advisory, as well as financial technologies designed to better enable its clients to navigate the capitalization lifecycle. Deal Box works with companies across a broad range of both traditional and disruptive industries of the future including cryptocurrency and blockchain technology. For more information, go to www.dlbx.io.